Lately the stored power in our Solar Batteries has not been performing well. The power stored for overnight use had not been good since we got here, but lately had become an issue as we would come very close to running out of power overnight. The ‘New’ System is running well, but it is not optimised and could run much more efficiently. When we first started not producing enough power there were a number of issues with the system that we knew about already. We are west-facing – So we do not get direct sunlight until around 7 in the morning during winter. Our panels are laid on a flat roof with minimal angle. We had been adding more and more high load devices since we got here. But when the power started getting seriously bad we knew that it was likely that we had a problem with one or more of our solar batteries. 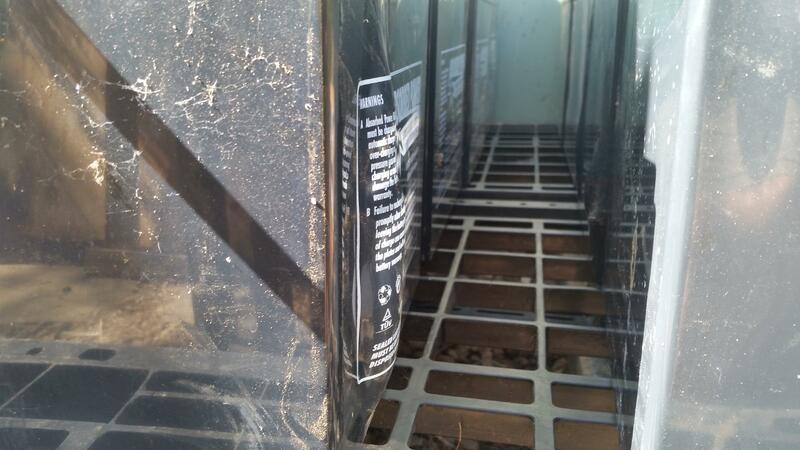 Fortuitously we had discovered a problem with Termites in the Solar Box on the ‘New’ system, so while we had the Solar Box dismantled, we could thoroughly check and test our 16 Sealed AGM Solar Batteries. 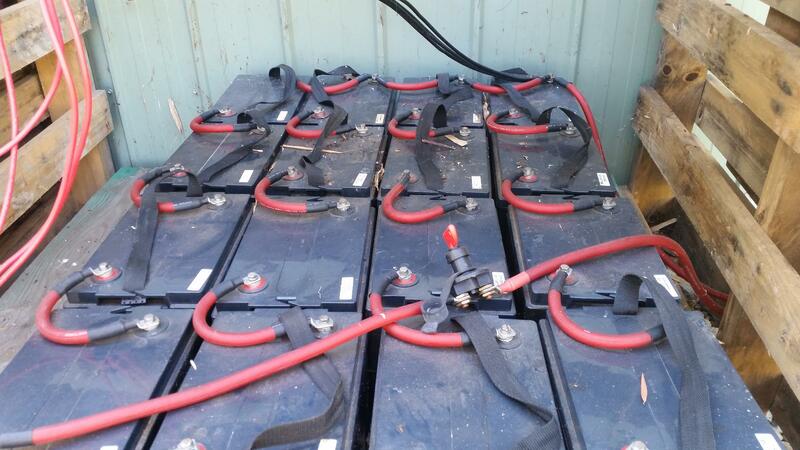 We have 16 batteries setup in Series/Parallel to generate 24 volts for the system. First job was to disconnect and turn off everything on the ‘New’ system, and then disconnect each battery and test it. Three sets of our batteries tested well. All with voltages above 6.5v. However the last set(4 batteries) showed that we had a serious issue. 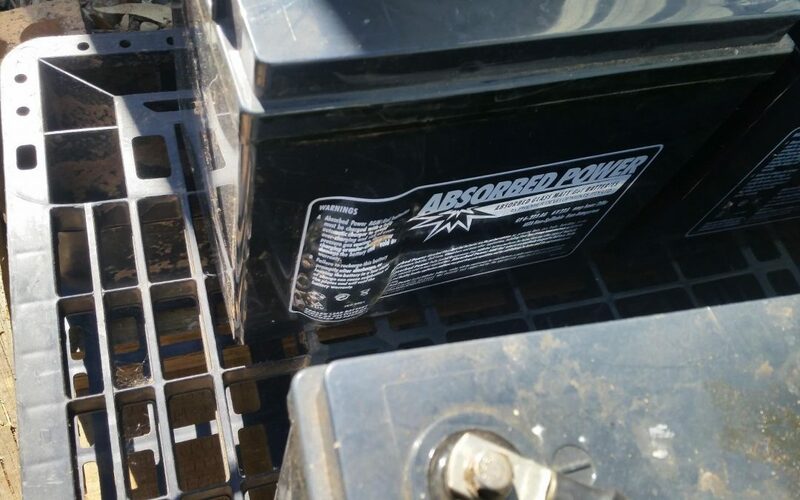 These results indicated that there was a problem with at least one battery in this set and it appears that Battery #2 could be the one with an issue. The batteries were left unconnected and in a secure place. 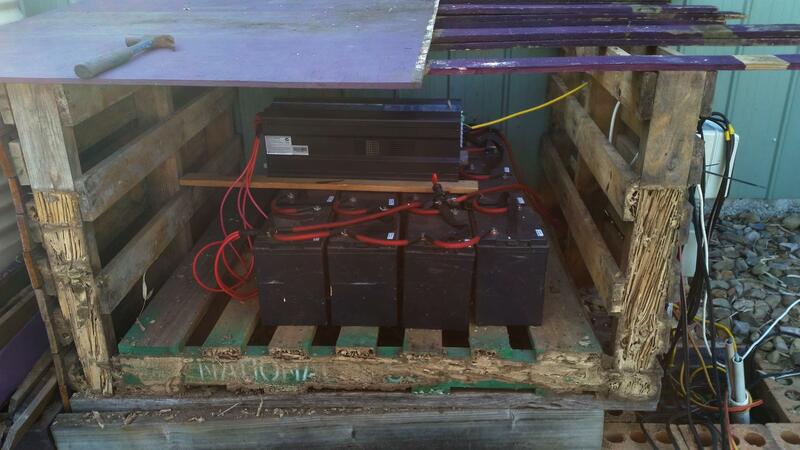 More testing would be required before we could isolate which battery was the culprit. 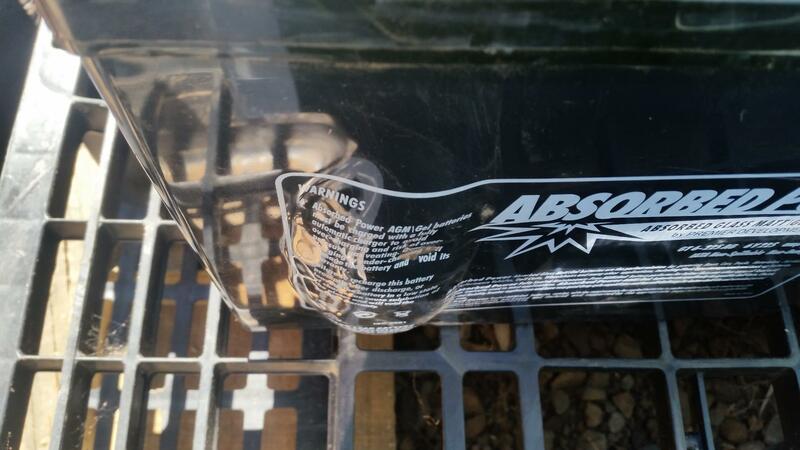 While inspecting the batteries we also found that some of them had physical faults. 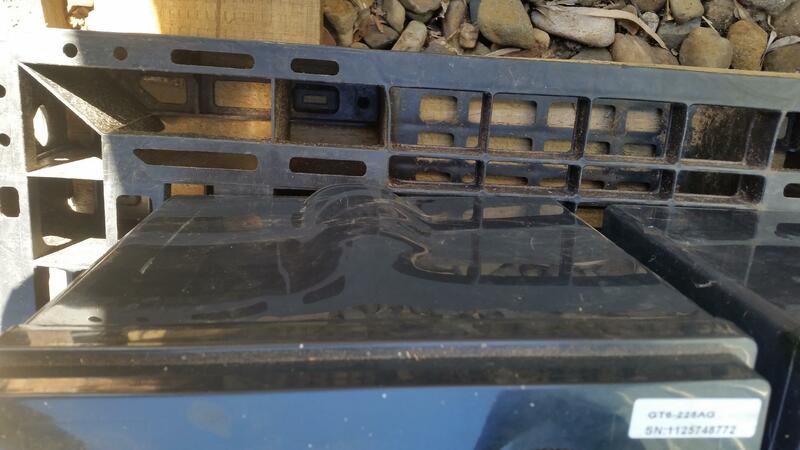 Physical faults like this are most often caused by overcharging/overheating. Overcharging is not likely as we have a Outback Flexmax 80 controller which works without fault. The deformed batteries are all working and correctly charged. While they pose no danger we will continue to use them, but we will have to monitor them closely in the future.